I do hope everyone had a lovely weekend. The 'Hubinator' and I had a lovely weekend at Malmaison in Aberdeen, enjoyed some lovely surroundings, drinks and a glorious meal - I even tried raw Oyster - Euurrrrgh. But alas! It is Monday again and back to the 'routine' . Unfortunately, I had to lock up the dress again and go back to my norm. 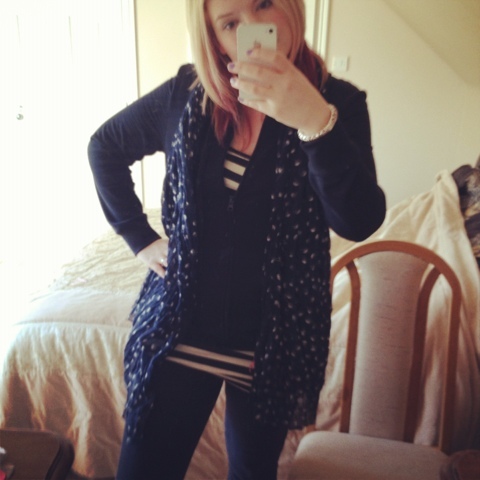 You are probably seeing a trend here lol - however I will show you my OOTD anyway! Above I am wearing my Next navy high wasted skinny jeans, I love the high waisted trousers from next, I feel they sit better on me rather than a hipster which I always feel like i'm having to 'hauk' up (pull). I then have on a very comfortable navy zip up hoodie from Tescos Finest :-) Underneath I have a Super Dry Striped Vest which is a staple part of my wardrobe, I have mentioned in previous posts that I have many different combinations. I am also wearing my navy and white skull print scarf! As you can see the theme of the day is navy and white. 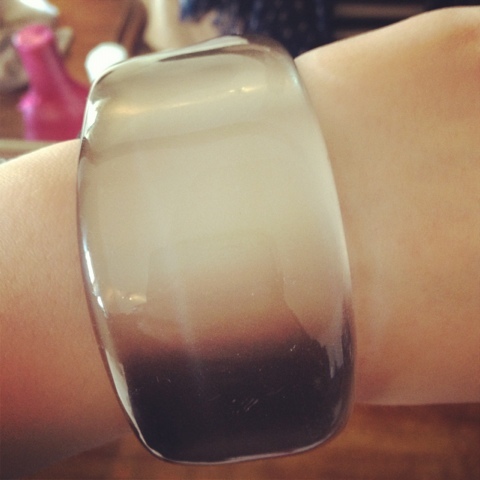 Chunky Silver Bracelet from Accessorize, it's great can be worn casually or with a dressier outfit. 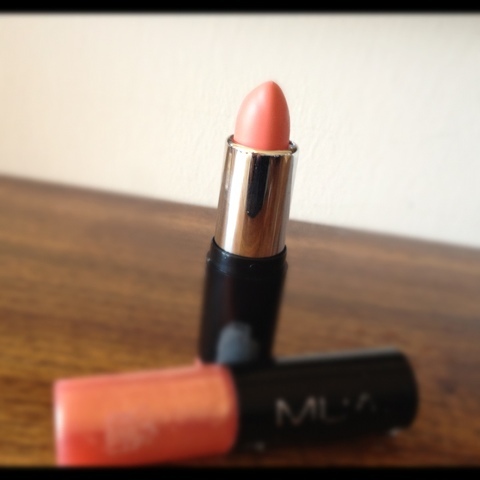 I recently purchased this MUA Lip Boom from the Tattooed Tea Ladies blog sale - check it out. It is in the shade OMG which is like a lovely peachy colour and the gloss that goes with it smells like strawberry bon bons - Gorgeous!! 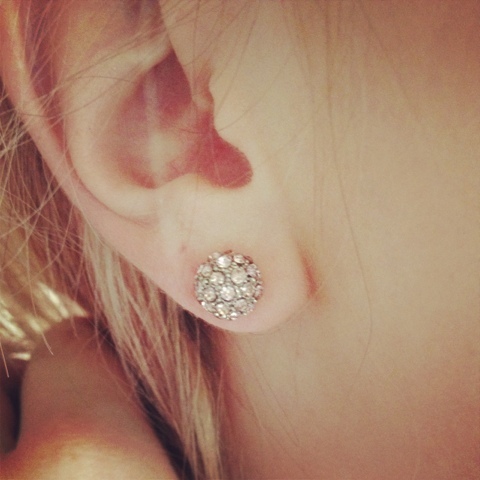 Lastly I decided to wear these silver 'disco' earrings, I hadn't worn earrings in so long that I had to force these through, needless to say it was quit painful and was even worse tonight when I went to take them out. Feel free to drop me a line and let me know how your weekends went, I enjoy reading all about it. you already owe a certain lender pay Day Loans uk the lender is already competitive on loans above 7,500, which happen to be falling in price lately.